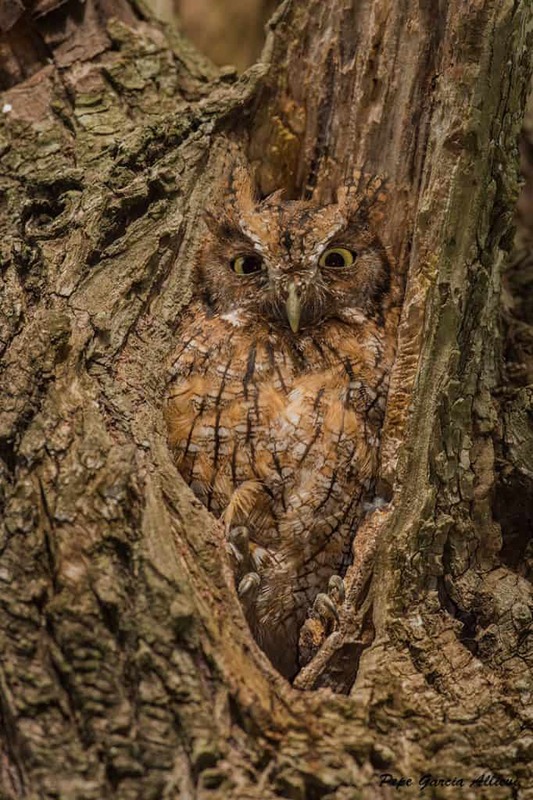 Less clear is the extent to which fur use has filtered down to the general population, and with China and Russia’s economies slowing, there are signs the industry has lost some momentum recently. This year the global fur industry is projecting a 33 percent drop in production—about 54 million minks worldwide compared to 72 million in 2015, reports Kopenhagen Fur, the world’s largest fur auction house. Many different animals can be raised in captivity for the fur trade: minks, foxes, chinchillas, and raccoon dogs (also known as tanuki or Asiatic raccoons). They’re in addition to the myriad species that are trapped from the wild, including bobcats, beavers, lynxes, sables, seals, and weasels. Mink is by far the most popular farmed fur, and Chinese minks dominate the market. In 2014, the country produced 35 million pelts, according to the International Fur Federation. 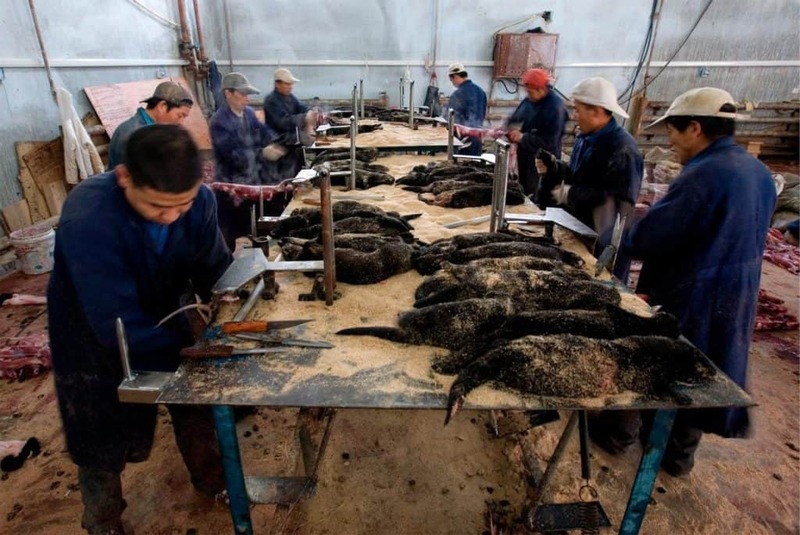 But Chinese fur farming is virtually unregulated when it comes to animal welfare. Chinese farms are often small, family-owned operations, according to a 2010 U.S. Department of Agriculture report. 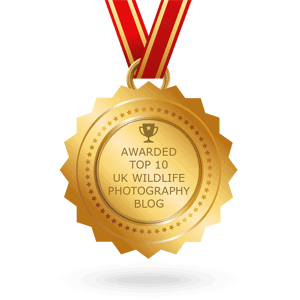 A 2005 report by Care for the Wild, a U.K.-based animal welfare nonprofit, found animals that were kept in small, dirty cages exposed to the rain and sun, experienced rough handling, and suffered high infant mortality rates. The report’s authors, investigators from Swiss Animal Protection and EAST International, observed abnormal behaviors indicative of poor welfare, including extreme fearfulness, unresponsiveness, and self-mutilation. And farmers reported infanticide and difficulty breeding, which are also signs of poor welfare. Cheap labor and a lax regulations in China have allowed fur farming to grow, according to a paper published in 2010 by the Animal Legal and Historical Center at Michigan State University College of Law, which means that many more animals are likely subjected to inhumane conditions. “China has virtually no regulations protecting such animals,” writes Lesley Peterson, the paper’s author. In the European Union, a new animal welfare regime called WelFur, developed by the fur industry in 2009, will roll out next year. WelFur will score mink farms on qualities such as health, behavior, and housing. Animal welfare advocates, almost all of whom support a total ban on fur farming, are critical of the effort, which was developed and will be carried out by Europe’s fur industry association, Fur Europe. Of particular concern to welfare advocates is that WelFur continues to allow the use of small wire cages, which don’t allow animals to run, swim, or climb as they would in the wild and often cause boredom that results in tail-biting and fur-chewing. WelFur spokesman Mick Madsen says that minks on farms don’t need to be able to express all the same behaviors as minks in the wild. He says that WelFur’s protocols are based on science and will be revised every five years to incorporate the newest research on animal welfare. Regardless, welfare concerns on European farms pale in comparison to conditions on many Chinese ones. The goal of any animal welfare regulation is to prevent unnecessary suffering. But for many animal advocates, fur farming begins and ends with the basic moral test of necessity—we don’t need fur clothing and accessories, and therefore fur farming for that purpose is immoral. Mink farming, welfare advocates say, poses insurmountable conundrums. These animals are highly territorial, solitary in the wild except during mating time. Minks in the wild spend their days roaming and swimming. What does it do to a mink to be crammed into close quarters with hundreds of others, bombarded by the scents of their feces and urine? Minks “cannot respond appropriately to these chemical messages and the impacts on their welfare are unknown, but allowing feces to build up under cages has been identified as a potential cause of social stress,” says a report produced by the anti-fur group Respect for Animals and co-authored by Stephen Harris, a professor at Bristol University, in England, who was asked to do a scientific review of animal welfare standards. 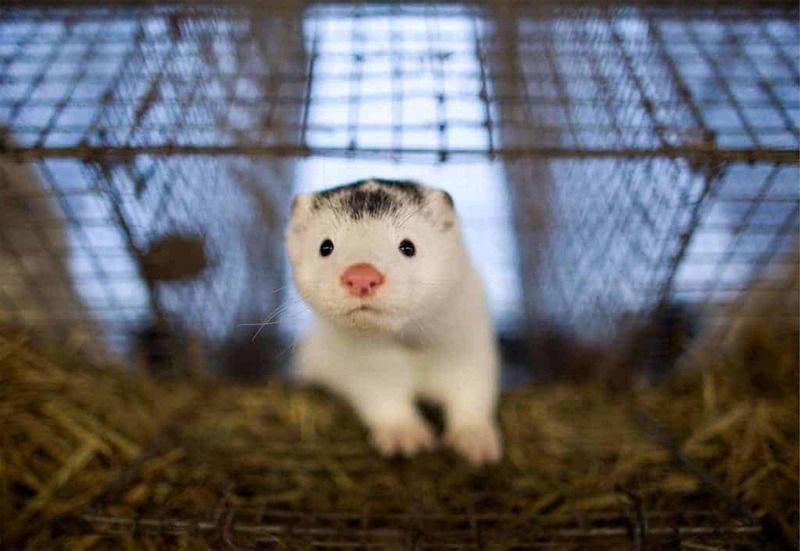 On fur farms—even the more regulated ones in Europe, the U.S., and Canada—minks are confined to relatively small wire cages with little enrichment. Even when provided objects for entertainment, studies have found that it’s not enough to stop abnormal behaviors reflective of boredom and stress, such as pacing, fur chewing, and gnawing on the cage. 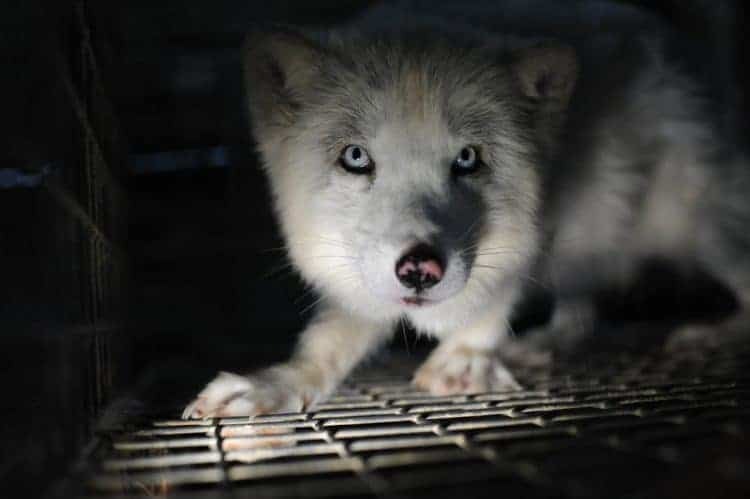 China’s fur farming industry came under pressure with the release of the 2005 Care for the Wild report, which was accompanied by videos from Swiss Animal Protection that appeared to show an animal being skinned alive. 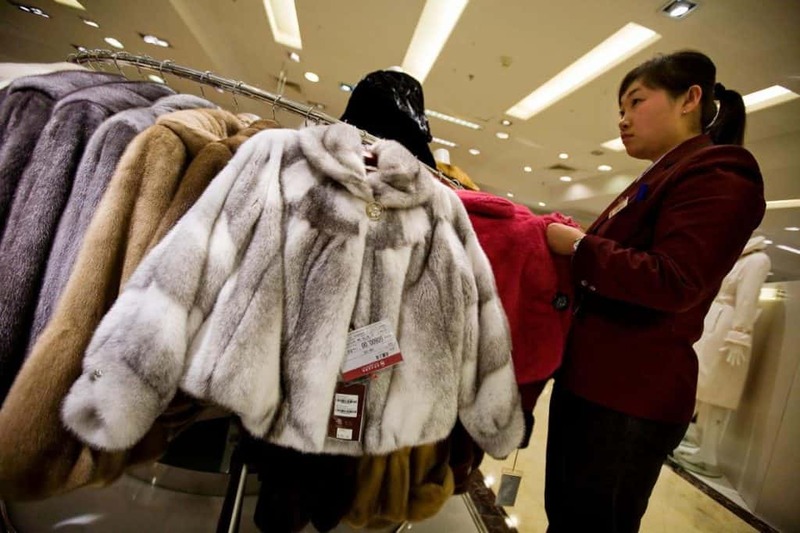 The international fur industry was quick to denounce the videos as fake, but it was nevertheless a watershed moment that prompted China to adopt new rules that require animals be stunned before they’re skinned. Still, says Peter Li, a professor of East Asian politics at the University of Houston-Downtown and a China expert at Humane Society International, which opposes fur farming, those rules haven’t transformed Chinese fur farming. Cruelty and inhumane treatment remain rife. In the 2000s, leaders in the European fur industry began noticing that customers were demanding something new—reassurance about the welfare of animals raised to make their garments. 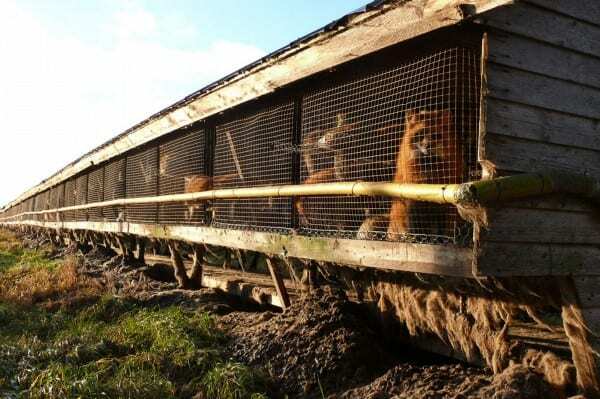 The European Council, an arm of the EU, has placed new demands on fur farms. A Council directive states that an animal can’t be farmed unless it can be kept “without detrimental effect on its health or welfare.” But beyond such generalities, there are no specific EU guidelines for animal welfare on fur farms. That’s where WelFur comes in. The program is a joint effort between the European Fur Breeders Association and the International Fur Federation. 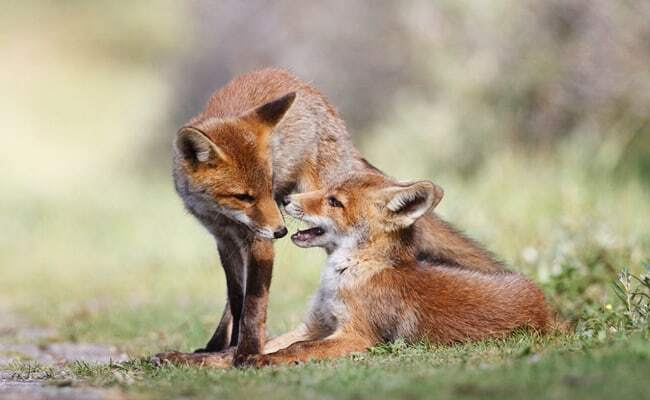 In 2009 they began working out a monitoring system, and by 2014 protocols for mink and fox were complete. The program is now in the field-testing phase, and Fur Europe spokesman Mick Madsen says it will roll out officially in January 2017. Madsen says WelFur still hasn’t resolved what the penalty will be for farms that don’t pass a WelFur assessment. Fur Europe can’t throw out an individual farm for failing because the farms themselves are not members of Fur Europe, only their national fur breeders’ associations are. “There will be a consequence, but what exactly it is is still being discussed,” Madsen says. WelFur is based on “best current practices,” and animal welfare advocates say those current practices are often inhumane—especially when it comes to housing. “Since ‘best current practice’ involves the use of a farming system with low welfare potential, even the farms that score highest on the WelFur protocols will be providing a standard of welfare that most people would not consider acceptable,” says the Respect for Animals report that reviewed welfare standards. That it’s inhumane to keep animals in small wire cages is just common sense, says Mark Glover, director of Respect for Animals. Fur Europe’s Madsen brushes off the report as a product of “animal liberationists” who won’t be satisfied until fur farming is banned everywhere. Great Britain, Austria, Slovenia, Croatia, Bosnia and Herzegovina, Slovenia, and the Netherlands have passed bans on fur farming (the Dutch ban has been appealed to the Supreme Court). Switzerland has such strict regulations that fur farming isn’t pursued there, and several other countries have passed bans on the farming of certain species. This article was first published by National Geographic on 17 Aug 2016. 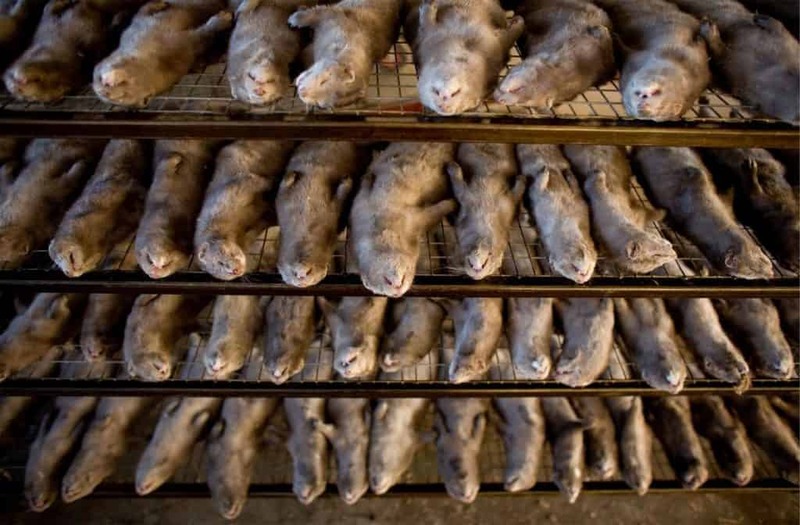 Should there be a worldwide ban on fur farms?